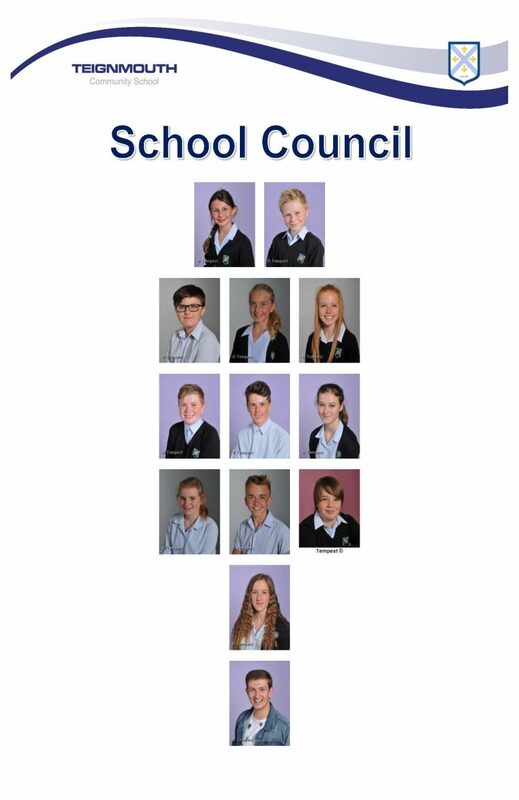 Please meet our elected School voice panel with representatives from Year 7 to 13. They meet with Mr Willmott and share information together that they feel is important to improve our school. Student voice is a vital part of our work at TCS, Exeter Road in having a say in the decisions that affect them. There were 7 examples of school tie on offer. A-G.
Each member of the school council had one vote and the choice was unanimous. There was a lot a discussion about the width of the tie. Current trends are for narrower ties. Jack proposed the option of wearing a sport team tie if you represent the county in a sport and have their tie. To be discussed further. There were 11 students present. One student acted as the model wearing the new blazer against which each tie was shown. What have they enjoyed so far this term? What have they not enjoyed so far this term? • Year 10 student really enjoyed science but is not keen on the new blazer and thinks its badge is too big. • Year 13 student likes the fact that the 6th form has a good structure like regular school but also wants a bit more freedom to choose the study periods. • Year 9 student likes Art but is not enjoying Spanish. • Year 10 student likes learning new things but is not keen on the RTL system although has seen its good effects on student behaviour. • Year 7 student enjoyed English, looking at a film and writing about it. Not enjoying maths at the moment. It is hard! • Year 12 student is enjoying the freedom that comes with free time in a 6th form timetable. However it is a challenge and sometimes hard to organise this time. • A year 12 student really likes the school and its facilities but considers there is the need for more choice of courses at level 2. • Year 9 student really enjoying Drama and PE. Not enjoying the lack of experiments in science. • Year 13 student is enjoying the freedom in the 6th form but not enjoying all the tests! Also would like some flexibility with choosing the study periods. The Aims of the Whole school Student Voice. All years which means that older students can look back with experience and advice. Younger students bring fresh ideas and opinions. All aim to improve the school in one way or another. We read each section, the Student, The School, Parents/Guardian. There was high levels of agreement with the document. No areas of discussion or disagreement. Each year group should provide 2 people from the year to join this group. Attendance to this group is voluntary but for continuity it is was explained that the same people attend and that it was not done on a rotation basis. • Mobile phones and their place in school. Eg used at breaks and lunchtime. Also in lessons for tasks like translation exercises and listening to music when revising. • The year 11 Prefects. Student feedback about prefects. How is it viewed from other students?